The Apex Court of India on Tuesday issued notices to the parties on a petition filed by Bangalore-based Wildlife Rescue and Rehabilitation Centre and other animal welfare organizations to ban the use of elephants in religious functions, processions and other events. The Bench, comprising Justice Dipak Misra and Justice S.K. Singh also directed the State of Kerala to file a reply within three weeks on issuance of ownership certificates to elephant owners. The matter has now been listed for April 27, 2016. Last month, Ms. Aparna Bhat, representing the Wildlife Rescue and Rehabilitation Centre had brought it to the attention of the Court that two resorts in Goa, namely, Jungle Book (JB) and Tropical Spice Plantation (TSP), engage elephants for recreation for tourists, subjecting them to cruelty. It was hence prayed that the Chief Wild Life Warden, Government of Goa be directed to ensure that elephants are not treated with cruelty. It was further demanded that a report be called from the Animal Welfare Board of India. The Court had then directed impleadment of the two resorts as respondents in the application. AWBI had also undertaken to file the report within three weeks. Clarifying that the question whether the resorts can keep the animals or not will be dealt with at a later stage, the Court had directed the Chief Wildlife Warden, Goa, to ensure that the elephants in the two resorts are not treated with any kind of cruelty. Adhering to this direction, AWBI on Tuesday submitted before the Court, that the said report will be filed after serving a copy of the same before the States and the two resorts. The report lists down 10 violations of the existing animal protections laws and guidelines. It notes that TSP does not have a legal ownership certificate for any of the three elephants in their custody, and that all of them have been acquired illegally as none of the gift deeds pertaining to the elephants have been vetted or registered. It further notes that while the female elephants were tethered with one foreleg and one hind leg using nylon ropes tightly tied to the trees, the male elephant was tied using heavy chains. The housing, upkeep and maintenance of the elephants were also found to be inadequate. The elephants were found to be deprived of necessary veterinary treatment and care, which was exhibited by the physical health issues such as untreated wounds, cataract, and skin lesions. The Report had thereafter recommended that as the elephants were apparently being kept illegally, the CWLW of Goa seize them immediately and transport them to suitable elephant care and rehabilitation centre. “Since the elephants are suffering both mentally and physically they need immediate veterinary care in a more enriching environment to avoid further physical and mental damage, and AWBI may advise CWLW of Goa to ensure the same,” the report states, demanding initiation of legal action against the resort, for violation of the Prevention of Cruelty to Animals Act. It goes on to recommend that the CWLWs of Gujarat, Bihar and Andaman & Nicobar Islands be directed to take disciplinary actions against the erring officials who issue illegitimate ownership certificate and other documents related to transfer of custody and transport of elephants. 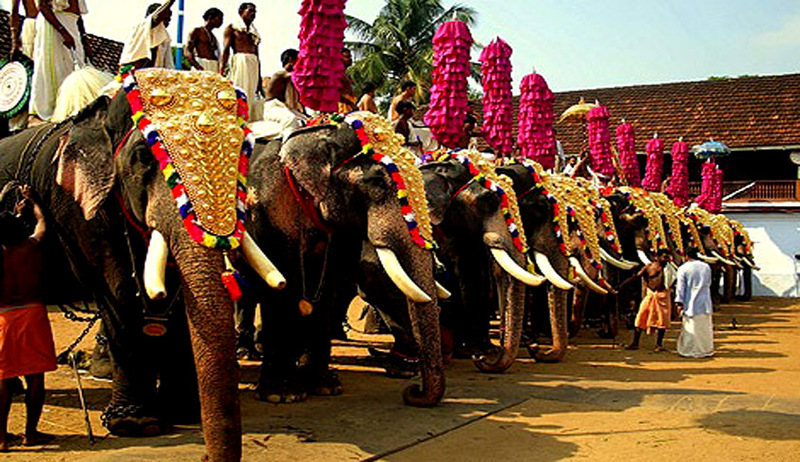 The Apex Court had, in August last year, ordered registration of all captive elephants in Kerala, cracking down on physical and mental torture they are subjected to. The Bench comprising Justice Dipak Misra and Justice R. Banumathi was of the opinion that registration of the elephants would help in making accountable all acts of cruelty these animals are subjected to, and to fix responsibility. The Apex Court had also asked the State’s Chief Wildlife Warden to have captive elephants in the State accounted for by using data already available with him for issuing ‘declaration of ownership’ certificates under Wildlife Protection Act 1972. You may read the LiveLaw article here.